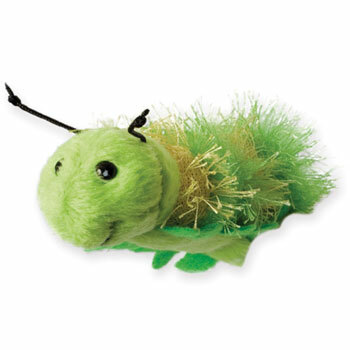 A full-bodied and beautifully finished caterpillar finger puppet - great for enhancing story telling. Designed to fit both children's and adults' fingers, this puppet is perfect for use alongside our foreign-language editions of The Very Hungry Caterpillar. CE marked and safety tested to European Standards. Suitable for ages 12 months and over. Good value for money to support work on the book,' The Hungry Caterpillar' but perhaps a bit on the small side for teacher use.